Is your Lichty being played professionally? I use the Lichty whilst on tour playing in a variety of environments from theaters & festivals to clubs and even small listening rooms. Any comments about the specific materials used? 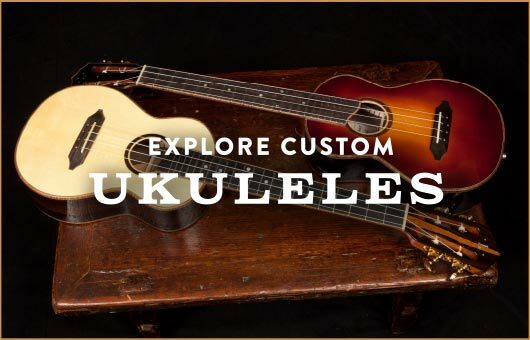 The first thing that strikes you is that the Lichty is a very attractive looking instrument which makes you want to pick it up in the first place. Besides knowing a lot about tone-woods, Jay is obviously very aware of how to get the ‘wow’ factor out of the final finish. How would you describe the sound and tone? The guitar is balanced in every way imaginable. Strumming the first few chords I was thrilled at how comfortable it felt in my hands. The action and general set-up is as perfect as I could hope for. The instrument projects beautifully and has a warm, balanced tone giving equal weight to sweet highs, punchy mids and a rich lower register. Getting to know a new axe, I like to strum an open chord and listen to its natural decay. The Lichty is a delight to listen to in this way delivering that lovely complexity you get when all six strings are resonating in perfect harmony then slowly dying away revealing slightly different harmonic overtones (and undertones) as it does. 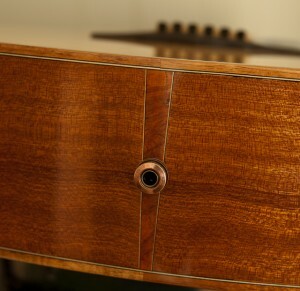 For me, it displays the guitar’s unique character and it’s the mark of a quality instrument when this method brings a smile to the player’s face – as the Lichty most certainly does. The more I play it the more I discover about its remarkably appealing voice. 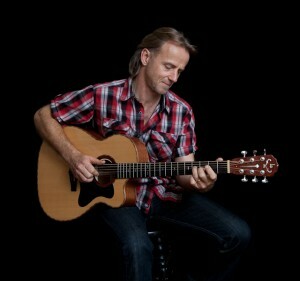 Whether performing or simply playing at home, my new Lichty has made me re-think what I expect from an acoustic guitar. Now when I play my mass produced, factory built guitars, I can appreciate how precise and accurate those companies have been in developing those models – which are very good – but I can honestly say that whilst I have owned some nice guitars, nothing has impressed me more for tone, playability and sheer artisanship than my handcrafted Lichty. How would you describe the sound and reliability/durability? I’ve been travelling with my Lichty OM on the road the past few weeks and she has held up very nicely with no tweaks or adjustments necessary. That’s always a good sign. How was working with Jay in the build process? Jay was very enthusiastic about the project right off the bat and made it plain that he wanted to make a guitar that was as near to perfect as we could possibly get. He worked hard and asked me a ton of questions about many aspects of my playing and expectations – some of which I had never considered before. He discussed woods, construction, design and so on in as much detail as I’d care to know. We also had to install a pick-up in this guitar for my live playing. This was a challenge as I’d been used to a variety of on-board pre-amps in my acoustic guitars, which are very practical devices and deliver a great amount of control for the musician. 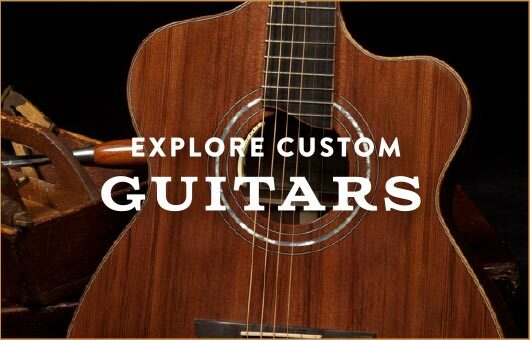 However, I’d always felt that carving a big hole in the top of an acoustic guitar and filling it with wires and switches greatly affected the guitars natural resonance. How could it not? So we didn’t want to do that. After some discussion, suggestions and searching around we found the LR Baggs Anthem. 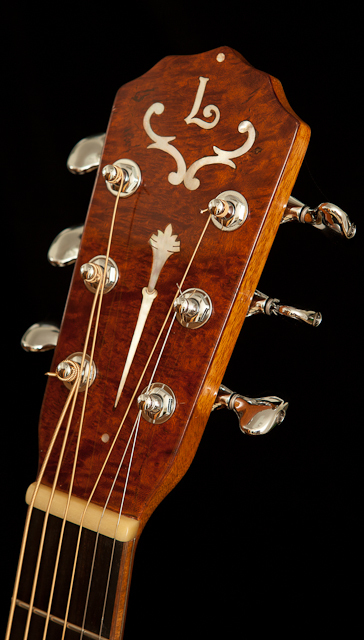 This is an un-obtrusive mic/piezo style pick-up which has won over many leading acoustic players. The concept was appealing and the reviews were stunning. Jay was prepared to obtain one as an experiment which he did and then recorded examples of for me to hear via the internet. (I was in Australia at the time!) Through this we both agreed that the Anthem was a good bet and would not hurt the guitar if we decided to try something else. Well, I’m happy to say that we were right on the money. Touring with Jay’s beautiful guitar and having the LR Baggs Anthem to amplify with in a variety of venues proved to be a winning combination. I’d highly recommend that pick-up to anyone with a quality acoustic guitar that requires amplifying. It sounds natural, balanced and sweet and it won’t impair the tone one iota. Great choice Jay – thanks! Very impressed with Jay’s ongoing concern that the guitar is performing as desired. Overall Rating: Gotta give it the full score. I can’t fault the guitar, service or support in any way. Very happy we met! The Lichty OM is the first hand-crafted instrument I’ve ever owned and it’s changed my world! 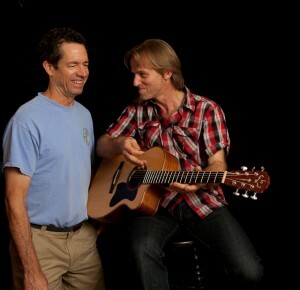 Playing and performing with the Lichty has made me to totally re-think what I expect from an acoustic guitar – wow!